Civilization disappears around Kiwatka BC, on the highway to Hyder Alaska. What happens if I have a flat? I saw four bears, and lots of moose… signs. At one point I stopped beside the moose sign. After and hour or two, still no moose, so I moved the Iron Horse down the trail. 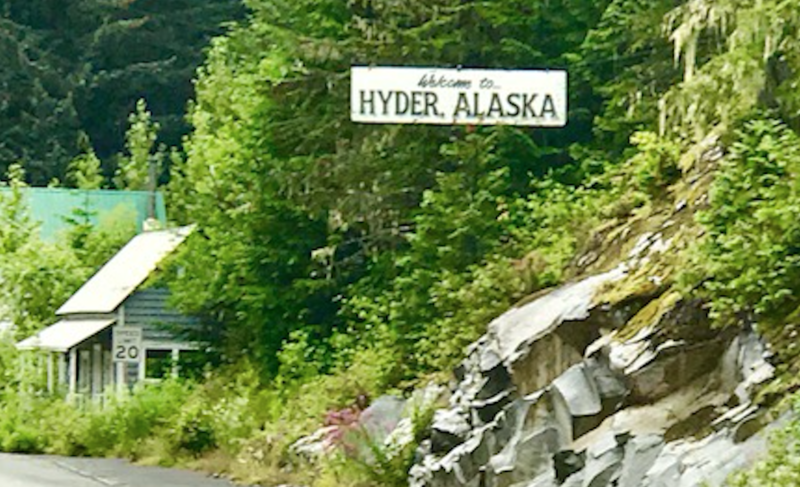 I crossed over to Hyder Alaska and there was no border checkpoint, just a ghost town. Almost-Ghost, anyway. Not many people live in Hyder. They don’t need to check passports – there’s nowhere to go. One hotel, one bar, and a post office. 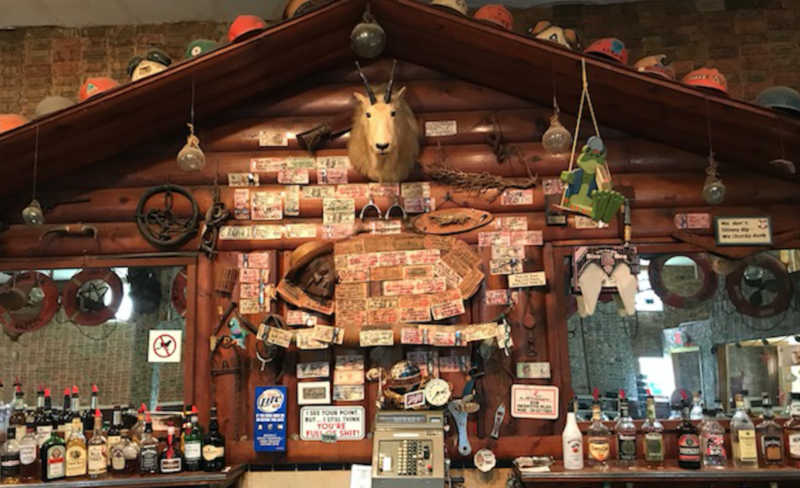 I stopped by the Glacier Inn to get hydrated. Their specialty consists of 100% everclear. I also signed my name and DirkSpeaks.com on a dollar bill which joined hundreds of other signed bills on the wall. Then there’s the bear circus. 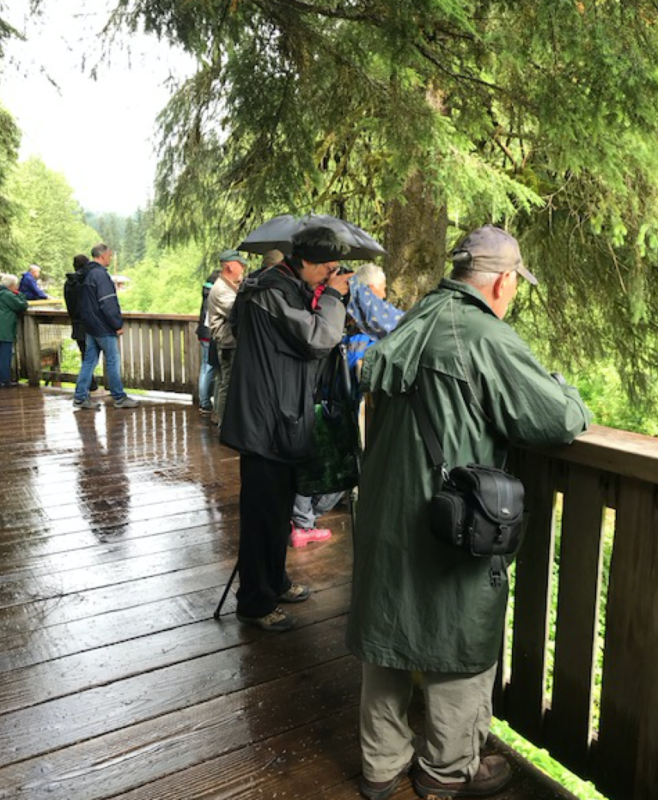 You can take a bridge to the bear watchers: older folks with all kinds of cameras and lenses. They were amazing to watch. (The people, that is). I didn’t see a single bear at that location. I think they were all on the road. 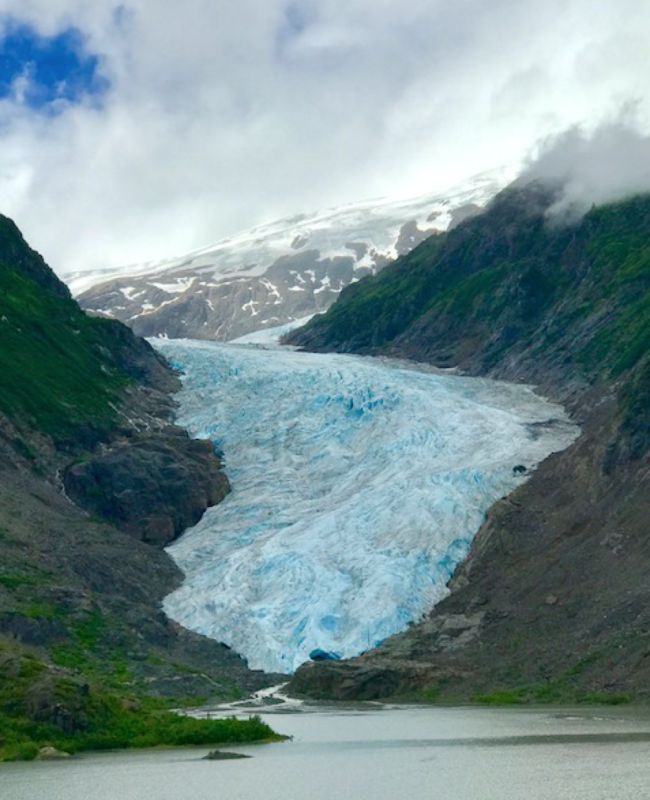 So I headed up the mountain on a dirt road for twenty miles to see a glacier. 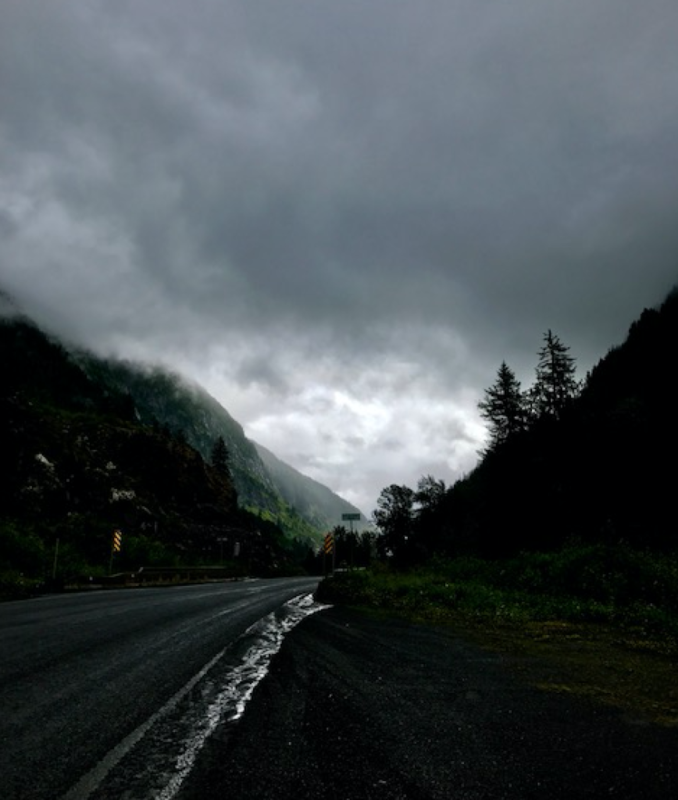 Fog hovered in and the rains came. I was unable to see the glacier so I headed for the ironically-names, Grand View Inn. It rained all night. The Inn is owned by Dee with the help of the grunter. An older gentleman that doesn’t speak much – or shave. A great place, actually, and I’m sure the view is grand when the sun shines. Maybe I’ll bear watch, or go to the glacier. But the Iron Horse wouldn’t start. The battery was dead.The only mechanic was 300 miles away. I even tried to call the grunter from the Inn. (I’d noticed him working on a truck.) No answer. I waited… and waited. Finally a man named Wade showed up and with a toothy grin and let me know I might be stranded. He gave me a jump and I followed him to his shop. He promptly broke off the top of my battery, filled it with water, and duct-taped the top. You do what you can in Hyder Alaska. After a toothy laugh he said I have enough juice in the battery to make it the 300 miles to Smither, BC. Maybe. He took delight in that. Stranded on the road could be dangerous, with bears and all. “Don’t stop,” he said. My trip to Hyder would have to be cut short. Often mechanical problems determine our destination. Mine was Smithers, BC and a new battery. And life goes on in the friendliest ghost town in Alaska. How’s YOUR summer movie going? Subscribe for the latest on my travels – and inspiration to live your own movie!